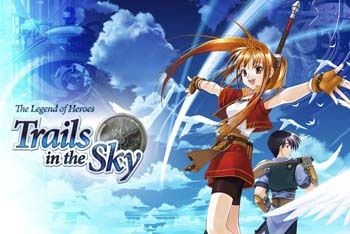 XSEED picks up the next The Legend of Heroes: Trails in the Sky after many requests from fans. The first chapter of The Legend of Heroes: Trails in the Sky came to North America for the PSP in 2011. Two and a half years later, XSEED has announced they will publish the second chapter, a direct continuation of where the first left off. The second will be available on the Vita and on PC next year. "We are pleased to finally give the fans what they've been requesting so fervently for over two years," XSEED Vice President Ken Berry said. "There's been a constant demand ever since we released the original The Legend of the Heroes: Trails in the Sky, and we are extremely grateful for our partnership with the passionate localizers at Carpe Fulgur to finally make it a reality." Carpe Fulgur is a localization company that specializes in bringing Japanese games over to the West for an English-speaking market. They have worked on localizing Recettear, a game about an item store, and Chantelise, a game about two sisters on a quest to find a witch. The Legend of Heroes: Trails in the Sky SC features a customizable combat system, a large cast of characters, and an in-game newspaper. "Players are responsible for shaping the world, and will see direct repercussions from their actions as the game unfolds," according to a press release. The first chapter, already on the PSP, will also be released on Steam at some point this winter.